I am the Electronic Services Librarian for Hunt Library at Embry-Riddle Aeronautical University in Daytona Beach, Florida. My responsibilities include developing and maintaining the library website and intranet, coordinating access to online resources, administering online library services, managing social media, and general technology support. I’m also the administrator of Library Technology Launchpad, a website covering library technology news, ebooks, mobile apps and websites, online resources, social media, UX, and other related topics. I hold a Bachelor of Science in Electrical Engineering from the University of Central Florida (1991) and Master of Science in Library and Information Studies from the Florida State University (1996). My library areas of interest are website development, library intranets, electronic resource access, online library services, institutional repositories, and emerging technologies. Read my full Curriculum Vitae. 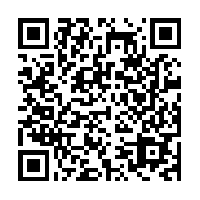 My ORCID iD is 0000-0002-6374-9591. Visit my LinkedIn profile page. Read my blog posts on Library topics.